A septic system that is properly maintained will likely last you for many years. 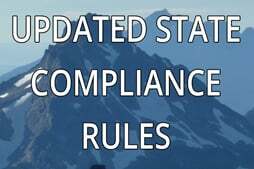 However, not every homeowner takes the time to get the preventative maintenance necessary to keep a system working to the best of its ability. Because of this, it is very important to have a septic inspection when you are buying a new home. If you are looking for a septic inspection service in Marysville, WA or the surrounding areas, you may consider choosing Superior Septic Service for the job. A Septic Inspection will help you better understand the septic tank in the home you are thinking about purchasing. You’ll learn how old the tank is, if it has been properly maintained, and may get a better idea when the tank will need major repairs or replacement. So, if you’ve decided that you need to get that septic system inspected, how do you choose the right company for the job? Many people would simply open the yellow pages and choose a service this way. While you may get lucky in finding a good company, you are much better served by choosing a septic company that has a longstanding reputation for great service and great prices. Superior Septic Service, for instance, has been in business for 24 years and knows exactly how to inspect a system to avoid unpleasant surprises. 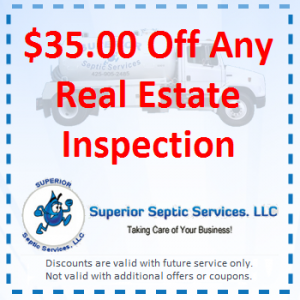 When you allow Superior, in Marysville, to handle your Septic Inspection, you will get top-quality service but you’ll pay a price that is almost shocking. Superior has a low-price guarantee, so you know you will not pay more than you have to. Since septic inspection is not top on most people’s list of fun ways to spend money, this is vitally important. Don’t trust your future home to anyone but the best, allow Superior to get inspect the tank and if you run into problems down the road, they can provide top-quality service when dealing with repairs, pumping and installation too.